In a tragic incident of carelessness and inhumanity, a man has been left out at a Hospital by a group of home providers. On December 12, a man was admitted to Mason General Hospital to be medically cleared before being allotted a long-term residential facility. The hospital staff recognized that the man had behavioral problems and medically cleared for being put into state custody. But, it has been two weeks the man has not been picked. Reportedly, the man is a client of the Department of Human Services (DSHS) and the Developmental Disabilities Administration (DDA). A doctor working as an emergency medicine physician at the Mason General Hospital has shown his frustration in a blog on Friday stating that the DSHS and DDA were not taking the man owing to his behavioral problems, and for a small hospital it was becoming tough to house him. The doctor also wrote that the man was the responsibility of DSHS and DDA not of the Mason General Hospital. It should be reported here that the Mason General Hospital is a critical access hospital having 25 beds only. So, they cannot go above 25 inpatients legally. Inpatients are the ones who need care throughout the day. And owing to the situation at the hospital, one seat matters a lot. And the man dropped off by the home providers has been on one seat depriving someone who really needs it. While trying to get the reaction of DSHS, one representative said that they could not comment on the issue, and said that they have 35,000 plus clients and some of them had to visit hospitals sometimes. As per the representative of DSHS, they had been successful in placing a large number of people in homes. As Washington State has a scarcity of resources, it had become tough for them to arrange housing facilities quickly. After the Governor’s proposal of wage revision for service providers and extra funding for infrastructure, the situation might get better the representative said. 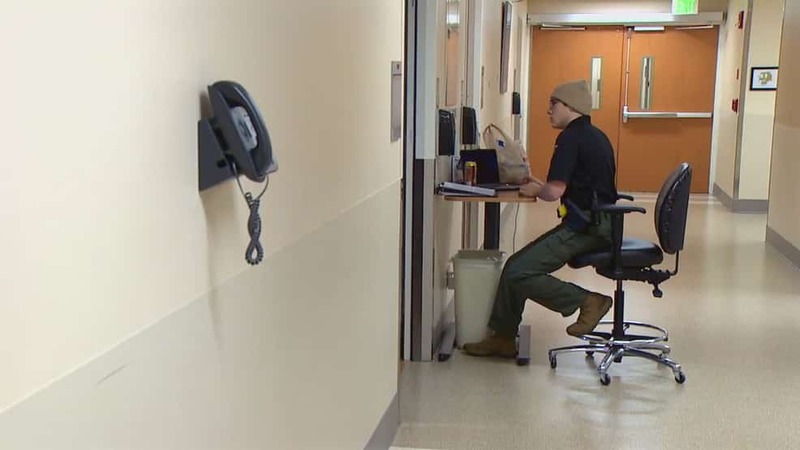 With the patients having behavioral issues, the hospital had to deploy one security guard outside his room. The hospital staffs have been attacked, and last day one nurse was bitten. The doctor said that the patient was not at fault, but the staffs at the Mason hospital were not trained to deal with a patient like him. The patient also has damaged some hospital equipment. The hospital estimated the cost for the patient’s housing in the range of $50,000 to $70,000. And that would be an unnecessary burden on the Mason County Taxpayers. Even with the damage, the hospital staffs have been kind to him. He has been given toys to play with and a laptop to use. As per the Hospital’s rule, daily meetings with the patients’ representatives are arranged with regards to patient care and care plans. But after a few days, the patient’s representative refused to talk on a daily basis. That left the hospital staff confused as to whom to contact for further information regarding the patient. As per the Office of Developmental Disabilities Ombuds, cases like these are very common in Washington State. The patients are dropped off at various hospitals until the providers arrange a housing facility for them. The case seems of dire attention by the State officials. On the one hand, the patient’s dignity is not maintained in putting him in various places where he is not wanted, and on the other hand, the hospital staff is not trained to handle patients like these. If a suitable solution is not found, the chances of chaos at hospitals will be high.